Every now and again, people get what they want out of life. The road may be treacherous but if it is meant to be, you will get what you deserve. 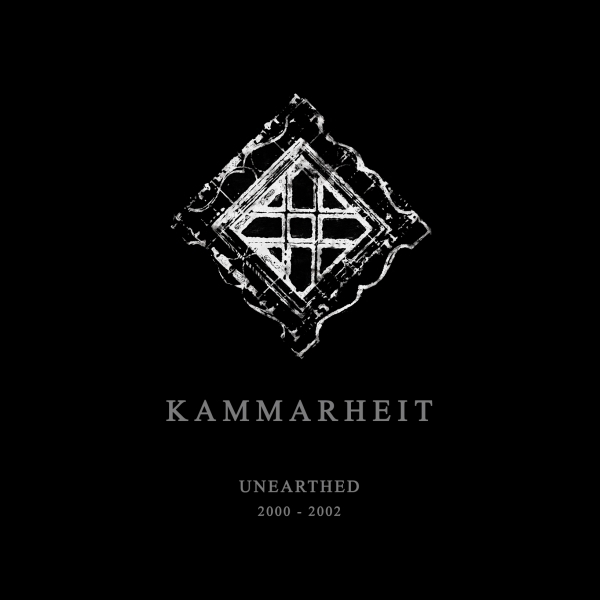 Kammarheit’s box set is a high water mark in my collection, people all over the world have been fiending to get a re-release of these pretty much since they were coming out. There were few made, the main recipients being personal friends and his own mind; just try envisioning this sort of marketing plan in the hideous i-tunes riddled world of today and you’ll see why we’re all celebrating long into the nights playing this. It clocks in at several hours. Don’t be afraid of letting it run because there’s no starting point and truth be told, no end to what he put down on these. Play them out of order, mix up the track listings; it doesn’t matter how hard you try to derail Kammarheit’s efforts… your own will come to naught. In between the dissonant, piercing screams of insomniac delirium and sorrowful decay there’s a glorious view to be achieved if only you stay on the path he has demarcated here. The only thing which could top this would be a box set of Jonathan Briley’s solo work, it is that level of greatness. These ideas Kammarheit corralled which roamed about the inside of his head really are bizarre at times, figures move in and out of the cerebral lens to startling effect. Far more than just a darkly ambient manifestation of subconscious malcontent, ‘Unearthed 2000 – 2002’ is a collection of albums which can work both on an individual level and also as part of something grander: a decadent tapestry which serves as testament to one man’s obsessive desire just to sleep. If only we all had the nerve to do what he did and put it all down in auditory form; it’s a wonder he survived some of these as they fairly bristle with hostility. Now some of you more cynical types may be scoffing as these have been available in digital format for free many years and so they were. I’m sure they decorate your hard drives magnificently for having been rarely played… they’re a far cry from the actual item, however, which is what I’ve been looking for wherever there is a chance that they will be. A dodgy distributor here, a nascent outpost of arcana there, if there was even a whiff that any of these would be available I investigated. These are the pieces which complete the puzzle, the edges have been explored thoroughly but what resides inside the core. We know now, we have the full picture at last and if he has plans for anything new it will be a privilege to hear it but this sort of archeological issuance you just don’t get much anymore. Few labels will take the chance, fewer listeners will investigate but we faithful are about as happy as we can be right now. So cheers to Cyclic Law and a hearty thank you to Kammarheit. I know it probably wasn’t easy to let these attain a wider audience but we’re grateful. Ever so grateful. I class myself as a Kammarheit fan but personally I don’t like these early albums. The first, Shockwork is particularly bad. In my opinion it wasn’t until Asleep And Well Hidden that he really found his way.